Discover the power of mobile 3D scanning on your iPad, iPad air, iPad air 2 or iPad mini with the new iSense. 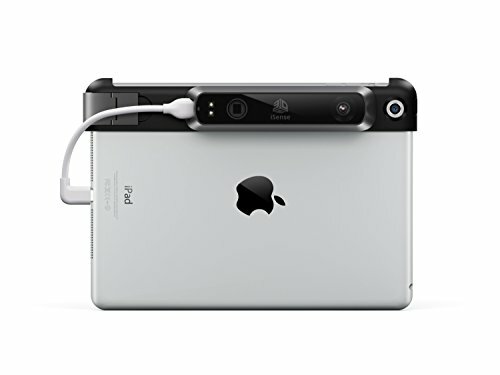 Its integrated design makes it easy to capture every dimension of your favorite moments on your iPad. Scan your family and friends, everyday events and adventures, all on your iPad, all in 3D. Take it with you and allow your physical world to spark your creativity. Purchase multiple brackets to fit all your iPad sizes. iSense has the most versatile scan range in its class with auto-optimized settings for objects large and small. If you have any questions about this product by 3D Systems, contact us by completing and submitting the form below. If you are looking for a specif part number, please include it with your message.